Description: Acacia podalyriifolia is a quick growing plant which may flower in its second year. 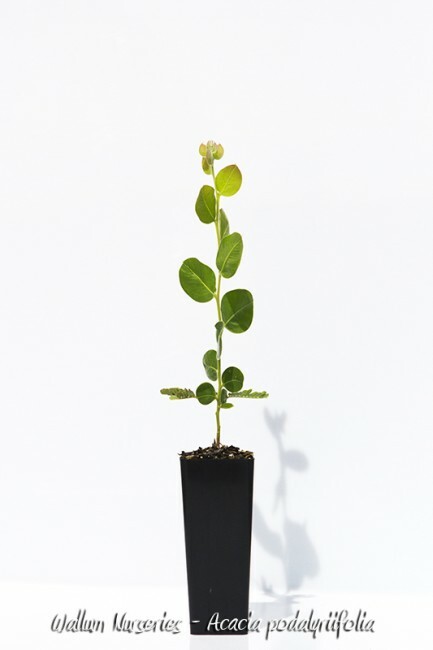 It is very useful as a quick growing screening plant as it generally retains a bushy shape. The species is suited to a wide range of climates, particularly drier areas, although it can be effected by sooty mould in humid climates. It tolerates at least moderate frosts.